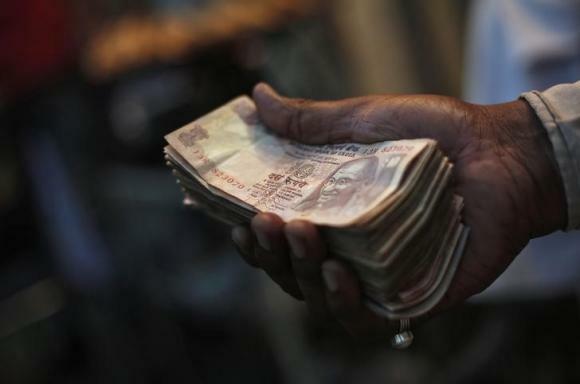 The rupee ended nearly flat on Thursday after a fall to a nine-month low had sparked mild intervention from the Reserve Bank of India (RBI), as emerging market currencies were hit by a weak reading in a private survey of China's manufacturing. The China flash HSBC/Markit manufacturing purchasing managers' index (PMI) fell to a six-month low in November, with output contracting for the first time in six months. The falls in the rupee are raising the prospect of higher imported inflation, although the slump in global crude prices is tempering some of those concerns. Analysts also note the rupee could prove sturdier than other emerging market economies given confidence about a recovery in the country's economy. Earlier in the day, traders said the central bank was likely selling dollars through state-owned banks to stem the rupee's fall. "We might see some retracement towards 61.90 (per dollar) and then some bounce again," said Hemal Doshi, a currency strategist at Geojit Comtrade Ltd.
"Exporters in India got 62 plus levels after a long time so they also sold on Thursday, and these dollar sales will keep coming around 62.20 levels," Doshi said. The partially convertible rupee closed at 61.94/95 per dollar versus its previous close of 61.96/97, after earlier touching a low of 62.22, its weakest level since Feb. 20. Besides falling emerging market currencies, the rupee was also pressured by state-owned banks spotted buying dollars as India is soon due to pay a third tranche of $400 million to Iran, allowing Tehran to recover part of its overseas frozen oil revenues. The falls in the rupee spurred state-run banks to sell dollars on behalf of the Reserve Bank of India in spot markets, and heavier interventions in forward markets, according to traders. In the offshore non-deliverable forwards, the one-month contract was at 62.26/36, while the three-month was at 62.83/93.